As the number of people using their mobile device to search the web continues to rise, it is becoming increasingly more important that websites become responsive. So much so that Google is taking a strong position in recommending them. Around 2013 Google began placing an increasing amount of importance to responsive sites in its algorithms. Google started doing this because they prefer to rank sites higher in their organic search results where the content is easier to share and access with a wider audience on the web. When users post or share websites on social media, a high majority of the people clicking the links will do so from mobile devices and it is critical that the content is delivered to them in a way that is easy to access. A 2013 study reported that 67% of online users stated that they would be more likely to make a purchase from a website that was mobile responsive vs a site that was not. They are the way of the past. Responsive sites have killed the concept of having a secondary site that was designed for mobile devices. The reason for this is maintaining a mobile site is the same thing as maintaining a second website. This would require you or your web design team to double the amount of work that was required to keep your sites up to date. Having only 1 website not only saves time with updates, it also draws all your web traffic to it instead of splitting it between the 2, vastly increasing search engine optimization (SEO). 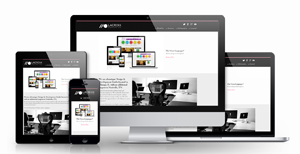 Another added benefit of a responsive site is user experience. No matter what device they use to access your site, you know that they will always have a consistent experience. Google recommends that all online businesses begin the process of upgrading to mobile responsive websites. This is because all of their future algorithms will be gradually more dependent on universality and user experience. Jersey Shore Computing can help optimize your website today. Please contact our professionals if you would like to learn more.